The reflective alloy external layer and the neutral internal ceramic layer fuse to offer maximum solar energy reflection whilst maintaining low-reflective neutral internal vision. 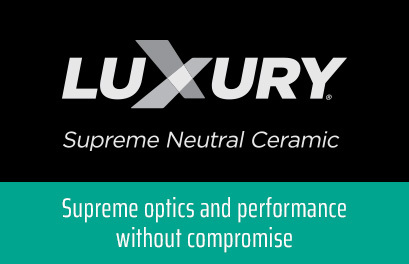 Constructed using a high reflective alloy external layer for extreme heat reflection and privacy, combined with a low-reflective neutral ceramic internal layer for premium optics. 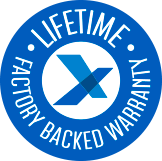 Duplex’s dual reflective low heat absorbent construction is the ideal choice for sensitive glazing systems and large expanses of glass that require maximum heat reflection and low sheen internal viewing. Duplex Dual Reflective Ceramic by Express Window Films is available in a choice of dual reflective shades. 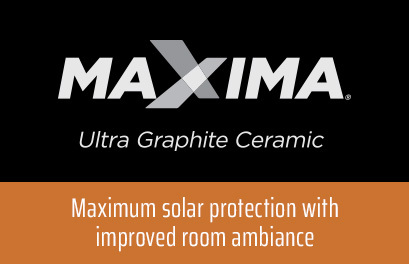 The Duplex range is designed with a high reflective outer coating to reduce solar absorption and increase overall solar heat rejection and privacy. Achieving minimal thermal stress to a glazing system. 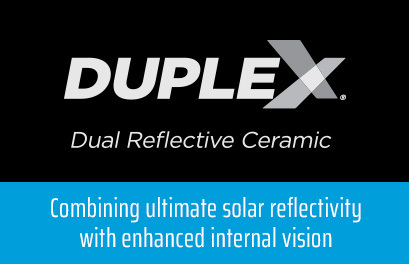 Duplex is constructed using advanced nano ceramic particles to decrease internal reflectivity whilst maintaining optimal solar performance, optical clarity and corrosion resistance. 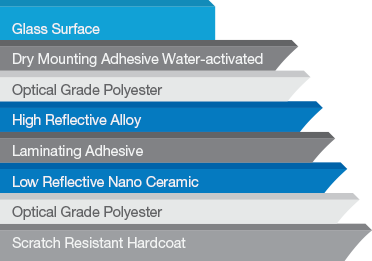 The internal nano ceramic layer in the Duplex range increases the films overall corrosion resistance for longevity and maintaining the optimal appearance and solar performance of the film. The solar energy reducing properties of the Duplex range assist in maintaining a comfortable room temperature hence lowering the reliance of high energy consuming cooling appliances and HVAC equipment. 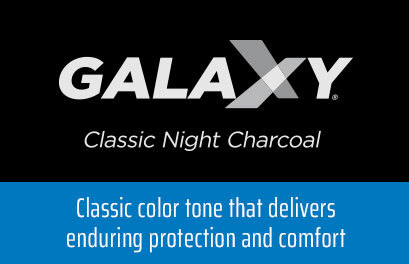 Ultra Violet Light is the major contributor to premature fading of flooring, furnishings and interior items. Protect your interior and contents with 99%+ UV protection across the whole Duplex range. The Duplex product range offers a selection of shade variations to control glare levels to suit the requirements of each glazing situation. Reduce annoying glare, whilst maintaining the preferred lighting ambience.